Improved unlock speed when Touch ID is configured. VoiceOver users can now interact with the button to show the vault list view. VoiceOver users can now interact with the more button when interacting with a vault in the vault list view. The headers in the vault list view and category list view are now VoiceOver accessible. 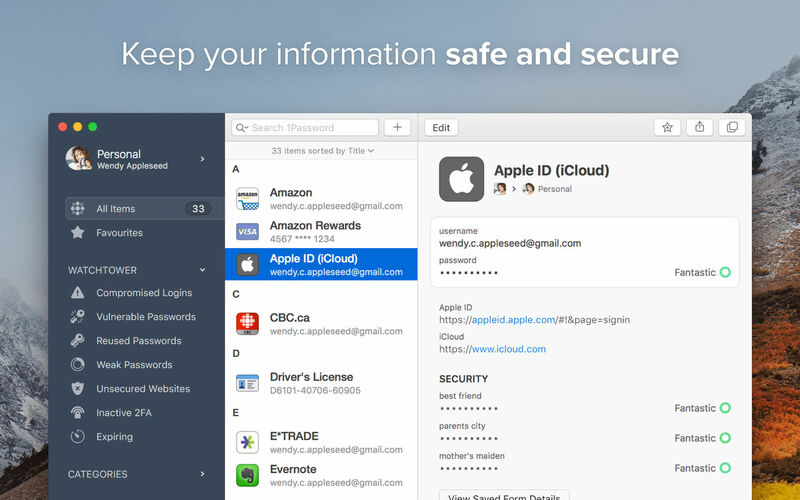 1Password now warns you when it detects another copy running on your system. Resolved an issue that could cause certain settings to not be saved after doing a Reset all 1Password Data. Fixed an issue where an incorrect icon for dark mode or light mode was used in the Code Scanner window. Password Vault Manager 3.5.20 – Your all-in-one solution to streamline password management. You have to disable System Integrity Protection. iCloud Sync is working again – it wasn’t working in 7.2.4. The Safari Extension still doesn’t work, but I don’t use Safari.